This article breaks down the less obvious, but equally important aspects of Office 365 that could apply within your business. These features, unique to cloud-ready office packages, allow you to regain and maintain control of your business in any working environment. Rather than providing open access to everything you hold, Office 365 makes it possible to share individual files or entire folders one at a time. Privacy settings give you the power to tailor the amount of system access you provide right down to the individual file. Making use of Office 365 provides your business with a single, central platform for company communication and data storage. A unified system means less business time spent on staff training and getting to know the system. Using a single system means your data is always located in a location where you know how to access it. Data transfer and file sharing are made easy for everyone across the business. Simply modifying permissions or sharing links provides access to critical files to anyone with an authorized account. Office 365 accounts-based services make reflecting the structure of your physical business in its digital systems simple and straightforward. Using your unique domain to identify your business, each staff member can be reachable to both internal staff and external companies. For Example, jane@yourbusinessname.com may be the address of your sales coordinator or financial director. Using a unique business-based address provides both a professional point of contact and useful account management system. It also provides a simple way to redirect enquiries within the company. If jane@yourbusinessname.com was the primary point of contact for suppliers to your business, vital emails might otherwise be ignored or lost completely when Jane is unavailable. Office 365 services make it easy to redirect all emails sent to Jane’s address to emma@yourbusinessname.com instead. Keeping in complete control of your business doesn’t have to mean sacrificing extra hours, laborious micromanagement, or building complex and costly systems. Office 365 allows you to keep control of your business easily and without hassle. 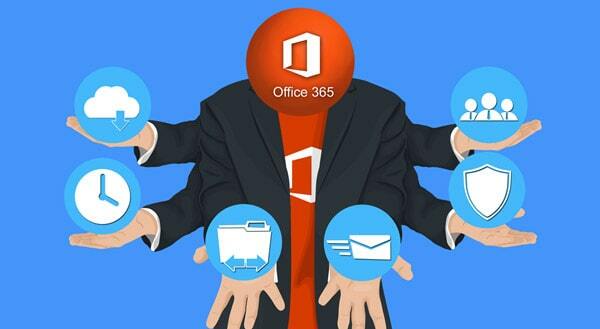 You’ll be surprised at the difference Office 365 can make to the way you manage your business. Call us at 01543 889 444 today to help set you up and running using Office 365 the right way.